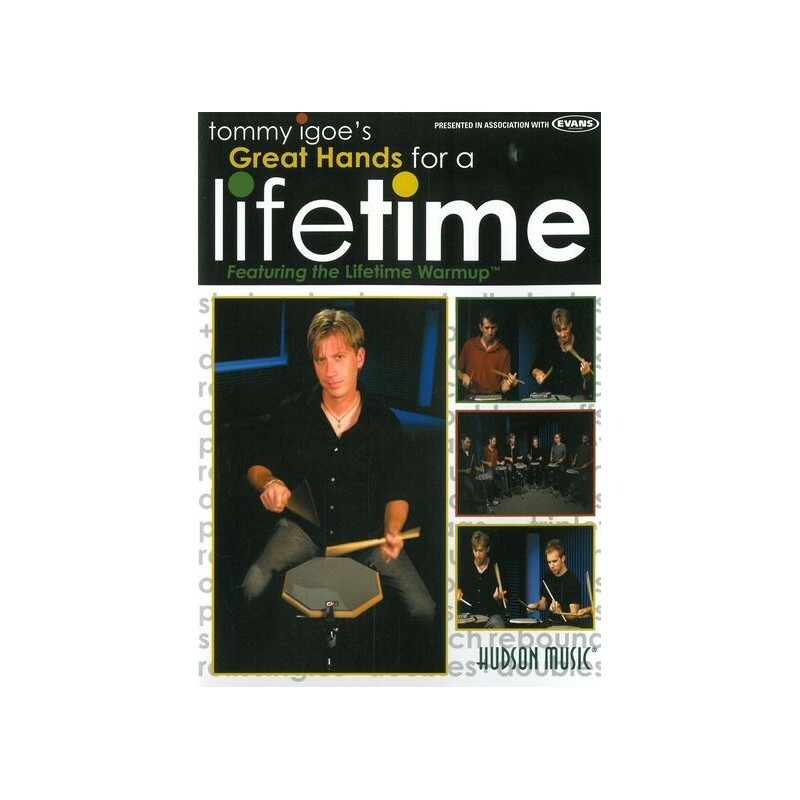 This new DVD from Tommy Igoe focuses on developing and maintaining the physical tools that are essential for every drummer and drumming application: their hands. You also get a group demonstration with five of Tommy's students, including all three versions of the Lifetime Warmup. Included are a free, colour-coordinated, wall sized Lifetime Warmup poster and a compact fold-out guide courtesy of Evans Drumheads as well as a printable, 60-page eBook with instruction and exercises. 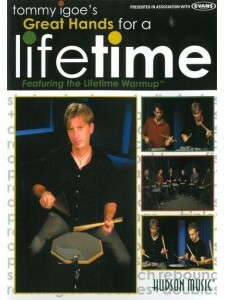 Created by one of today's most successful and progressive drum educators, Great Hands For A Lifetime brings the no-nonsense, inspiring approach of the Groove Essentials series to hand technique and provides a proven alternative for drummers who wish to discover the full potential of their hands and stay healthy drumming over the decades to come.